A Chicago man has received a 22-year prison sentence after becoming the first person to be convicted with evidence from the city's facial recognition technology. 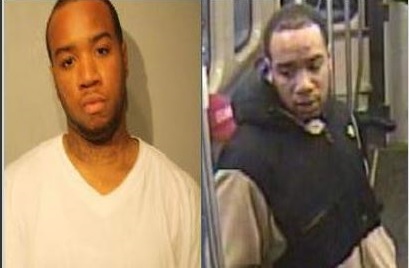 Pierre Martin was sentenced Monday for a pair of armed robberies carried out on the Chicago Transit Authority train system. The incidents occurred in January and February of last year, just weeks before Martin would make headlines as the first criminal to be fingered using facial recognition software. Using a system based on the NEC NeoFace recognition tool, police in Chicago compared surveillance footage from the trains with a database of 4.5 million police mug shots. When Martin's face was identified using a previous mug shot, police were able to make an arrest and later add witness statements. The arrest was the first to be attributed to the NeoFace system since Chicago police began using the tool in early 2013. Last month, the 35-year-old Martin was convicted of the February charge, following which he pleaded guilty to the earlier charge, for which he will not have to serve any additional time. "This case is a great example that these high-tech tools are helping to enhance identification and lead us to defendants that might otherwise evade capture," state attorney Anita Alvarez told the Chicago Sun Times. NEC pitches its NeoFace platform as a tool for government security and border control agencies. The company says that the suite is able to more reliably compare and analyze faces by breaking images down into smaller segments which are then compared and matched.